Canola Acre Forecast for 2011 - Whats Your Vote? In Western Canada, canola is the talk of the town at every coffee shop. 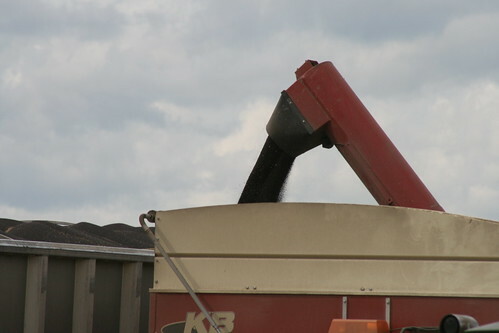 Farmers are booking canola seed at a rapid pace to ensure they have seed to plant in 2011. It would be even more interesting to know for the seed that has been bought, has a higher amount of the commodity crop been priced in comparison to the five year average. Or are farmers just letting this wild storm ride, hoping for a similar story to lentils last summer. The justification for the growth in acres is based on several things and some might even call it a perfect storm. The un-seeded acres in 2010 need to be cleaned up and a herbicide tolerant crop is ideal. Canola fits this bill. Canola was the most profitable crop on many farms in 2010. Saskatchewan and Alberta had late harvests and canola provides a much wider window for harvest than cereal or special crops. Across North America there is a movement towards growing more cash crops in detriment to the acres of crops like barley. Canola acre forecasts are prevalent everywhere. People are talking 18, 19, 20, or even 21 million acres of canola this summer. Personally I have hunches but no real quantitative forecast or analysis. I I had to guess today I would say 18.75 million acres. Just a hunch and nothing more. I phoned ten people that I consider to have a stake in the canola industry. These are ten people that are involved in canola seed production, canola processing, canola retail and / or canola farm production. All are independent of each other and did not know what any of the others said. They all provided me with their thoughts and not the thoughts of their employer or others. The following were the acre estimates that I received. The average of this industry poll is 18.625 million acres and the range is 18 – 20 million acres. Makes sure you vote in the poll below and lets see how close our readership and industry experts are to the real number this summer. Variables that will affect the actual number will most likely be the moisture conditions in the spring and how strong the canola price stays with the high acre number being discussed. Happy voting and good luck with your guess.